Some Like it Rita took a little break in Oxford last week. Summer in the UK is the perfect time to explore- there are many magical places just a train ride away. 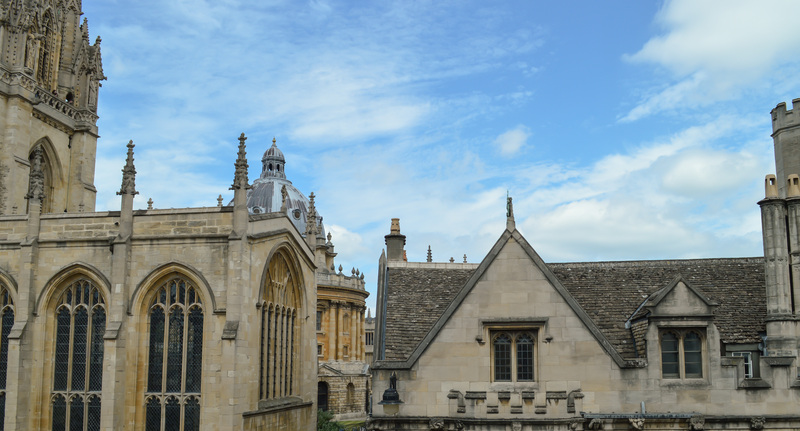 I had never been to Oxford before, but I completely LOVED it. It was exactly like I imagined Hogwarts would be: old, winding and beautiful. The Pal took me there on a surprise getaway, so I had no idea where we were going until he pulled me off the train at the right stop! It was tres romantic. He had booked a great room at the Old Bank Hotel, definitely a winner. The hotel is simply charming and the service was impeccable. 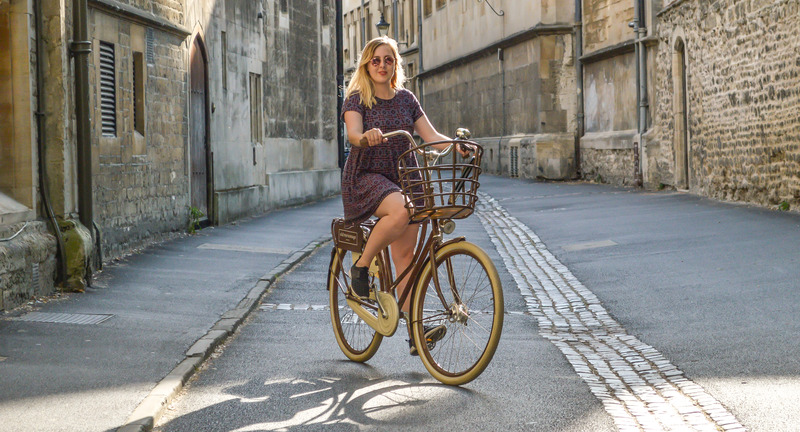 We borrowed some guest bikes to explore the city and felt like real locals. The view from our suite at The Old Bank Hotel was totally incredible- that’s Bodlean Library you can peak there. I imagined this would have been my view from my circular dormitory in Gryffindor Tower. 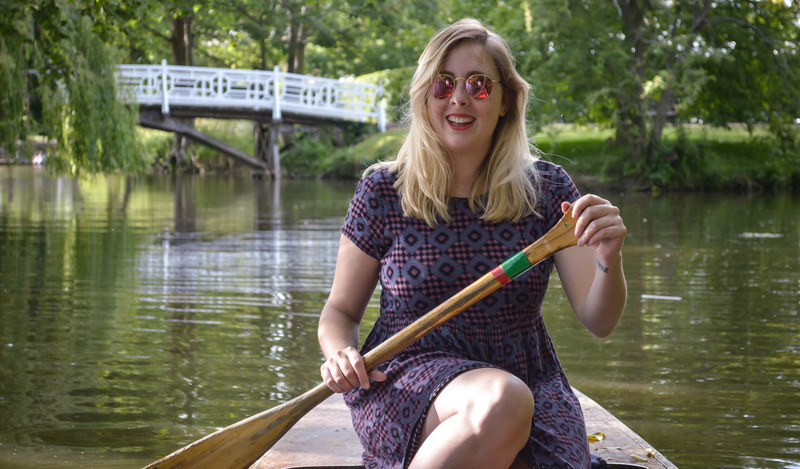 Some Like it Rita punting on the river Cherwell, like a boss. Just playing, I just posed- the Pal did all the actual punting! 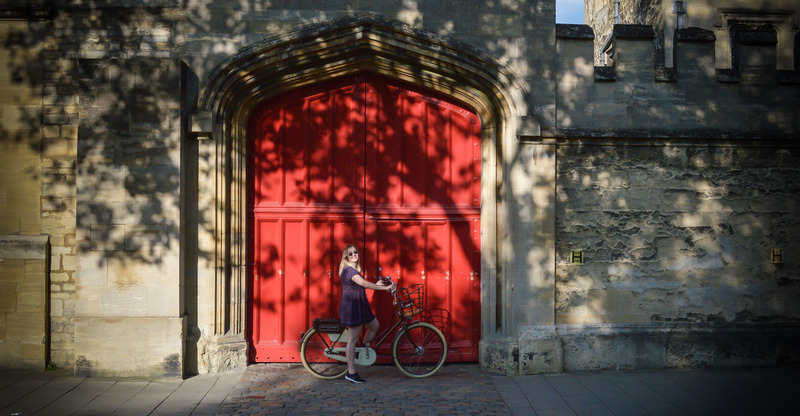 We had a brilliant time discovering some of Oxford’s beautiful old nooks on our bikes. 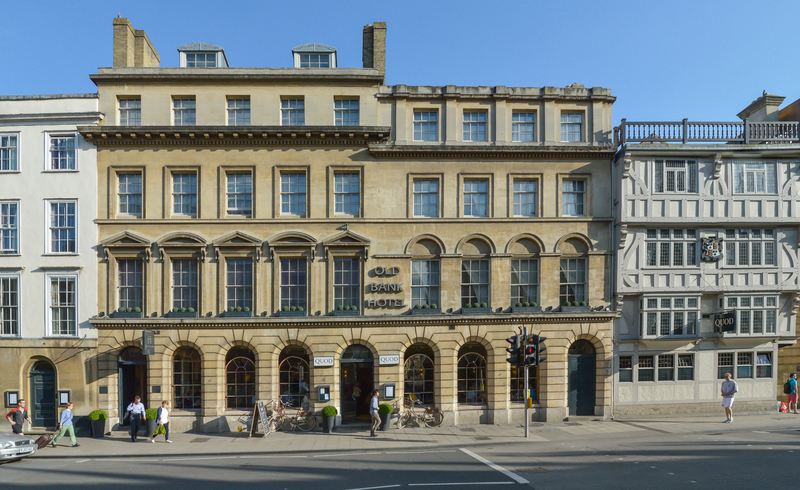 The Old Bank Hotel that received us so warmly. They have a brilliant restaurant- Quod- too, which is certainly worth a visit. Best book if it’s sunny though, because their garden terrace is very sought after. 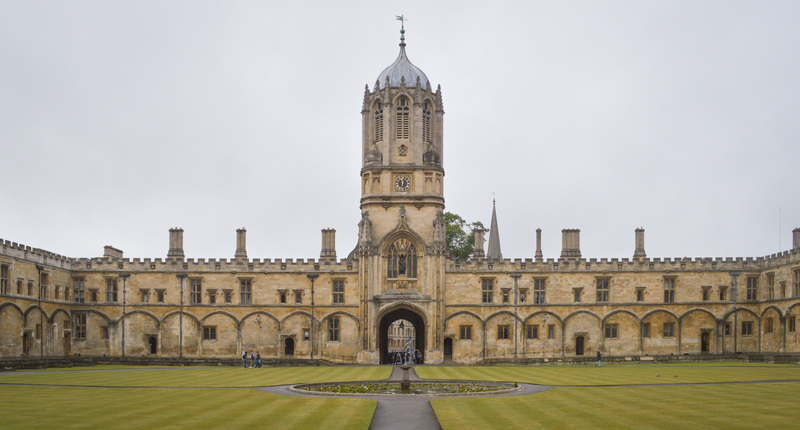 Corpus Christi College is one of the smallest colleges in Oxford in terms of population, but it’s certainly one of the most beautiful and it is the home of Corpus Christi Cathedral- a breathtaking spectacle of Gothic architecture. it’s also where they filmed LOADS of Harry Potter! Here I am, hanging out in one of the hallowed halls of Corpus Christi- I solemnly swear that I’m up to no good here. 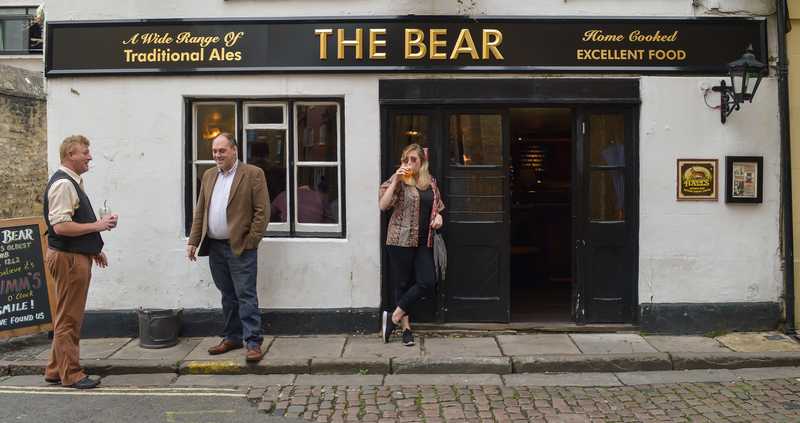 The Pal and I finished the day off with a charming pint at The Bear, the OLDEST pub in Oxford. It was tiny and quaint, exactly like an old pub should be like. The Bear is also famous for its giant collection of tie ends, from all the collages and societies in the university, dating as far back as 1900. It seems like its something of a tradition for society members to snip off the end of their ties and give them to to pub as a gift. 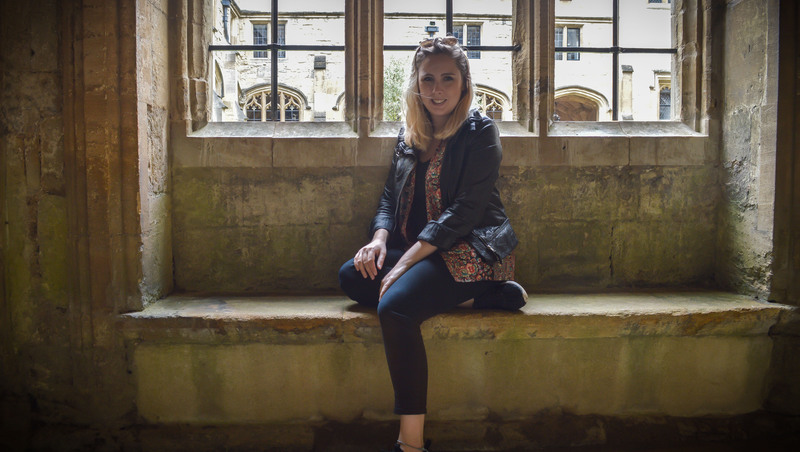 The Pal and I loved Oxford, it really is the perfect distance away from London, so ideal for a weekend getaway or even for a day trip. It is so rich with culture and heritage that we definitely did not have enough time to explore it all. 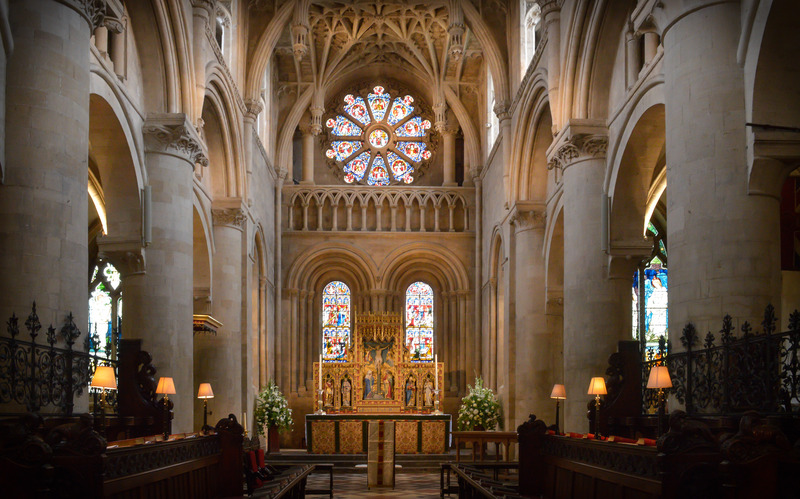 So to Oxford I say: I’ll be back!